If this warning light starts blinking, is it a known error? Mine started doing it this weekend and then it wouldn't go into top gear. It started to behave eventually, but I have noticed a slow selection of drive after moving the lever, (for example when manoeuvring to and fro) which I'm hoping is low fluid for that part of my woes, at least. I'm unable to check as I work away and I'm back there again, now. Anybody had similar (It's a 24v). Expert: neil replied 6 years ago. 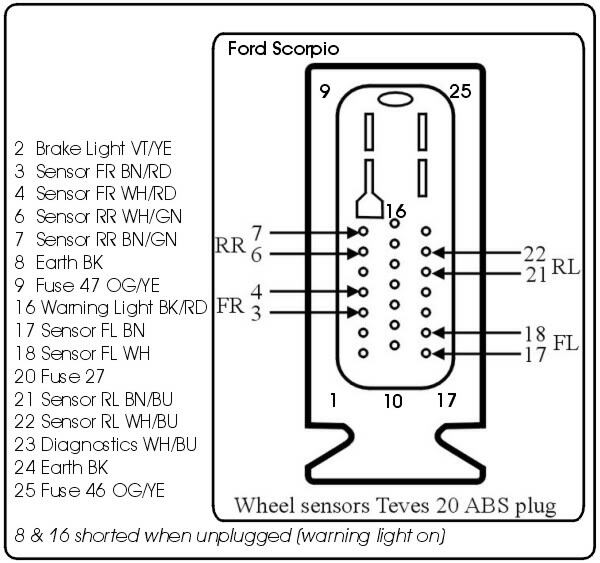 A very common question amongst owners of the Scorpio, particularly when they experience a gearbox problem is "What does it mean when the O/D light flashes?" The OD light is controlled by the PCM, not the OD switch on the gear change lever, and it is the PCM which turns on the light. It follows that, if the PCM detects a problem with the A4LDE gearbox, which is fully electronic, then it can blink the OD light. My advice to you would be to take your vehicle to either your local dealer or an automatic transmission specialist who have the equipment to diagnose your fault. 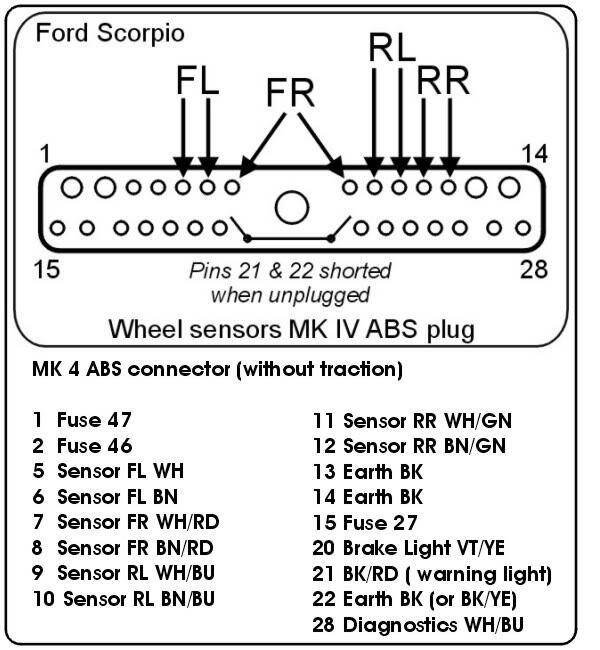 Generally if your vehicle drives ok and you do not suffer from any shifting problems then i would suggest that you have a wiring fault as these were very common on the scorpio. The pages referred to can be accessed Here but they only deal with the operation of the gearbox. 1997 2.3 Ultima estate. 1991 2.9 Granada Ghia. Loom damage is quite possible, trouble is with a bundle of wires depending on what shorts symptoms may vary. I had trouble with my 2.3 autobox a couple of weeks ago, I went through a puddle and lost drive except for first, apart from an occasional kick when it tried to change. I had the OD light flashing & there was a code but not particularly helpful & if it is the loom likely misleading. Fortunately I wasn't far from home & just drove home gently. Next day it was OK but I've not risked taking it out since just in case it rained . Have to wait for a new cat gasket to turn up before I can test it. Thanks for the advice, gents. I'll start by investigating the loom damage I think, but I'm prob not back before xmas. This is the sort of thing that could render the car finished if it needs a new loom, especially if dropping the gearbox is required. Welcome to the world of auto electronics, eh. I tilted the box/engine by removing the rear box mount & unbolting the propshaft support, having first disconnected the gear linkage, unhooked the exhaust & removed the heatshields. I may have been able to leave the cat in place but it would have been awkward & as mine hadn't been fitted that long ago I knew it would come off easily. How much more trouble a 24v would be I don't know. It was very tight & I could only just get my hands to the top of the box to unclip the loom. After my first attempt I was going to leave the old loom in place & run the new one around the front of the sump instead of going over but next day I managed to get it a tad lower & just managed to do it. No doubt a lot easier standing under a garage ramp instead of laying underneath with wheel ramps. Looks like I've got a rotten job coming up. This is the first Scorp that has given me problems, out of about half a dozen, so I'm not best pleased. I guess they're getting older etc etc...like me! Have a read of This page and check out the 'buttons' on the left for more information. It could just be the gear linkage selector needing WD40. Also check the fluid level and if your MAF is clean.